First of all, apologies to those who waited for this post to come out last night (like they usually do), but I simply and totally forgot about this. Don't fear, however, as you have an additional day of voting in today's edition of the Luxarazzi Tiara Race as voting will only close on Sunday due to my weekend plans. Don't forget to leave us a comment below to tell us which tiara you chose and why! 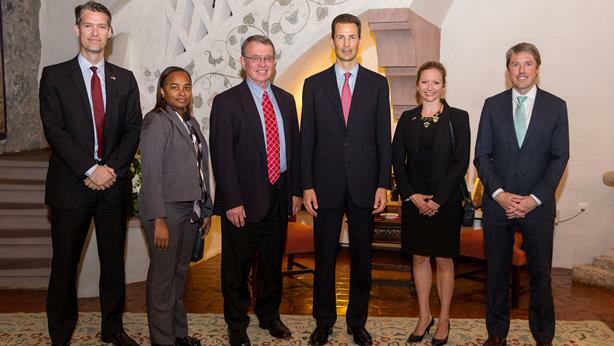 Hereditary Prince Alois recently met with a group of congressional staffers who support several American senators and representatives. The visit, prompted by an invitation from Councillor Aurelia Frick, provided the opportunity for bilateral financial and business discussions between officials in Liechtenstein and the United States. Additionally, Deputy Prime Minister Thomas Zwiefelhofer visited with the staffers and spoke about the importance of continuing the strong economic relationship between the two countries. The American delegation met Hereditary Prince Alois at Vaduz Castle for an interview, and before leaving they were also given the opportunity to explore some of Liechtenstein's business, cultural, and educational institutions. A little more about the visit at Volksblatt. A dispute has arisen in France about the beach that the Grand Ducal family of Luxembourg has been using for their summer holiday. The 100-meter stretch, located in the southeastern French district of Var, has been a popular spot with the family for decades. 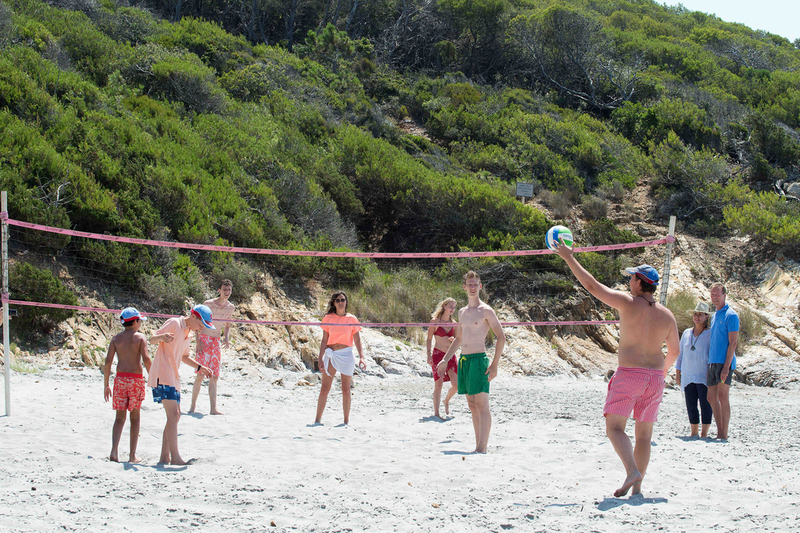 But now a French lawyer has argued that closing the beach to the public during the Grand Ducal family's visit is a violation of French law. 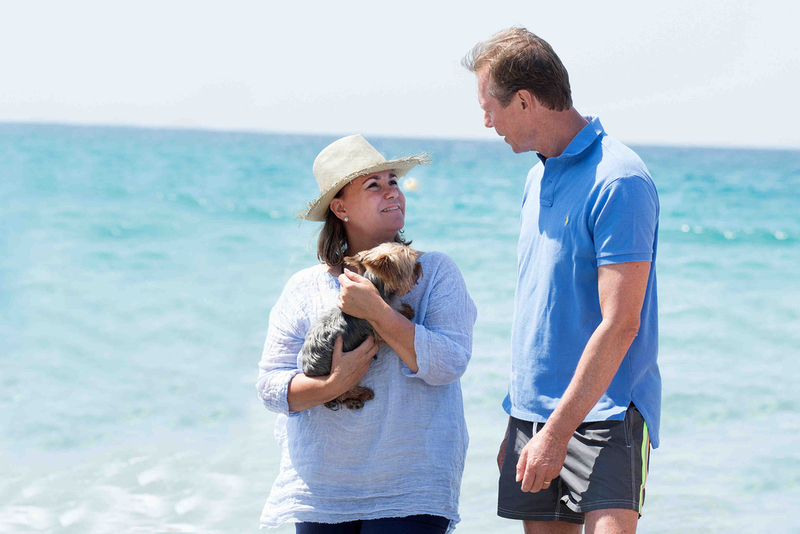 The local mayor, however, has pointed out in response that the beach is difficult to access and, therefore, not popular with the public. The mayor also noted that the only objections he has so far received have come from the lawyer and from one other family. 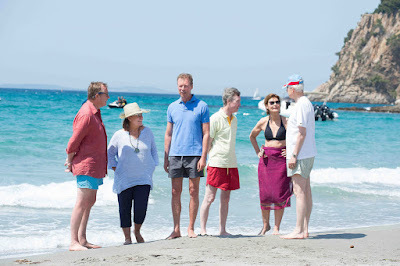 Additionally, the Cour has responded that the beach is not made private but is just temporarily reserved for the Grand Ducal family's security during the visit. A little more information about the situation at Wort. UPDATE: Further information from RTL. Apparently, the beach isn't completely closed to the public, as members of the public are still allowed to cross portions of it. However, the pedestrian parking is closed, and boats are restricted within 100 meters of the shoreline. Town officials note that the policy applied to the Grand Ducal family mirrors that applied to the President of France during his beach visits. Additionally, another lawyer argues that a 1986 law overrides elements of previous maritime law, making it possible to reserve beach spaces for these types of security requirements. The situation remains up for debate at present. Château de Betzdorf (also known as Schloss Betzdorf, Betzdorf Castle, or Schlass Betzder, depending on your preferred language) is a property used for many years as a home by members of the Grand Ducal Family. 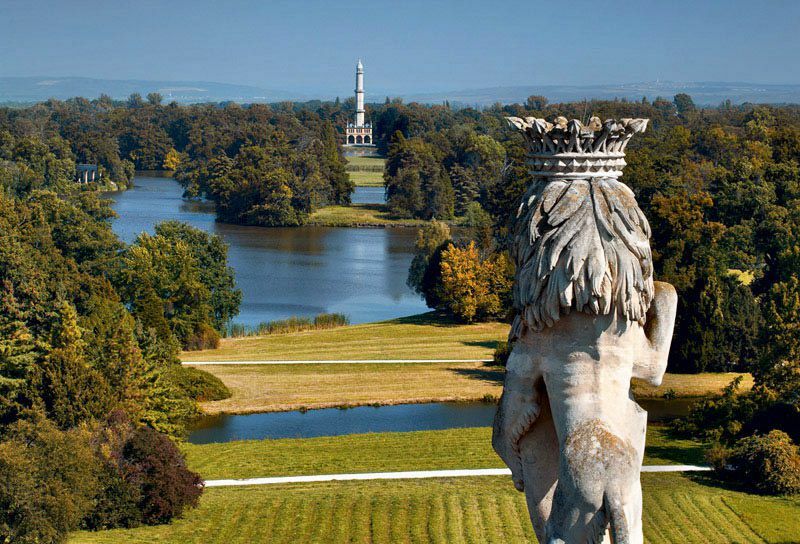 It is most notably the birthplace and childhood home of Grand Duke Henri and his siblings. The château is named for the town of Betzdorf, located about 23 kilometers (about 14 miles) outside Luxembourg City. 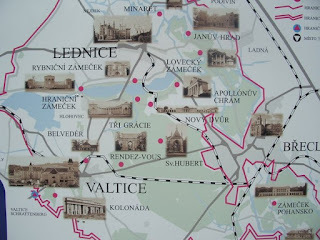 The present château initially had no link to the Grand Ducal Family. 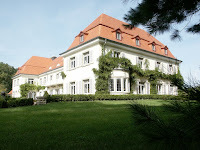 Although the property had held various castles and homes on the premises since the Middle Ages, the present home was built between 1911 and 1919 for René Müller Laval, an engineer from Esch-sur-Alzette. 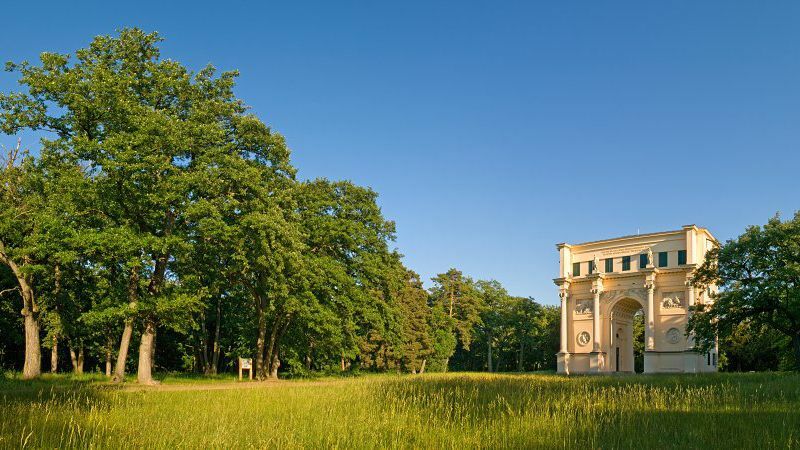 Designed in a neo-baroque style by German architect Paul Schultze-Naumberg, the château featured a small chapel, a forecourt, outbuildings, stables and garages on its 80-acre grounds. The home was also equipped with the most modern conveniences of the time: central heating, telephone lines, and running water. Construction on the house took far longer than expected, as work was continually interrupted due to World War I. But Müller Laval had bit off more than he could chew, so to speak. By the mid-1920s, the costs associated with the upkeep of the castle were more than he could handle and he began renting the property to wealthy Belgians to use as a vacation home. The Great Depression meant that fewer people were traveling for pleasure, and by the mid-1930s, the château stood empty for lack of available tenants. 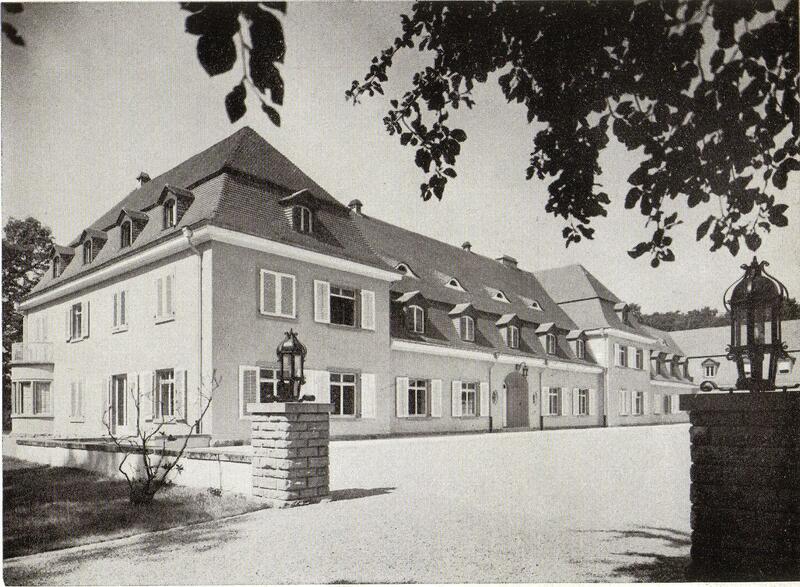 Following Müller Laval’s death, his brother Edmond, a Luxembourgish industrialist, donated the château to the Red Cross to serve as a vacation property and retreat for its staff. During World War II, the German military seized Château de Betzdorf. 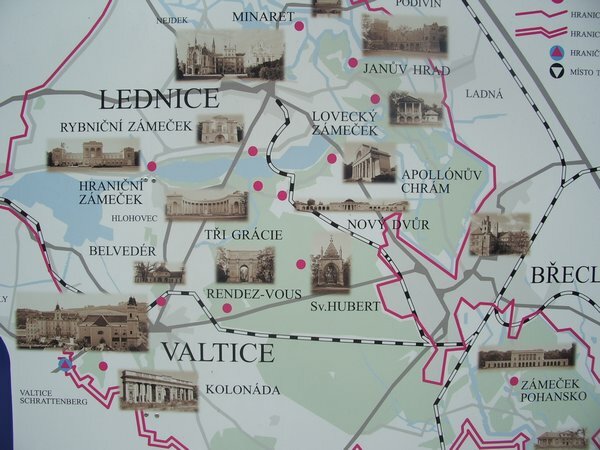 The Nazis opened a housekeeping school there, sparing the property from extensive damage. After World War II, the property passed to Luxembourg government, who first used it as a reformatory for young prostitutes (!) and then considered turning the home and its grounds into a women’s prison. However, at the time of the engagement of then-Hereditary Grand Duke Jean to Joséphine-Charlotte of Belgium, it was realized that the couple needed a home of their own. Several royal properties were still in various states of repair due to damage from the war. As Betzdorf was one of the few suitable, inhabitable residential buildings available, it was chosen as the couple's new home. Renovations began on the property shortly after Jean and Joséphine-Charlotte's wedding. In the time between Müller Laval’s ownership and acquisition by the state, the grounds had shrunk to about 35 acres. 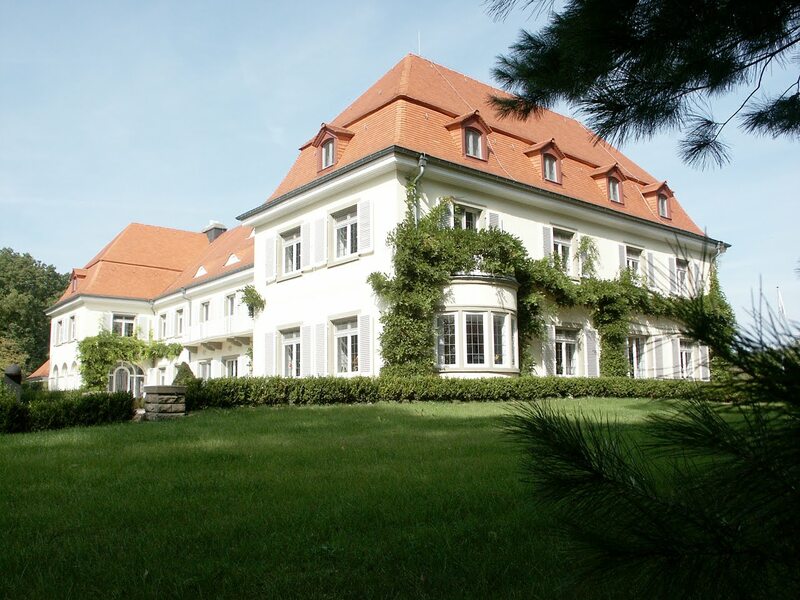 However, Betzdorf was still quite grand, and a rose garden and golf course were added to make the home more appealing. Shortly after Jean and Joséphine-Charlotte settled in, Luxembourg City also presented the couple with a sculpture of a deer to place on the grounds of the château. Auguste Tremont, a prominent Luxembourgish artist known for his animal statues, designed the sculpture. Tremont’s sculptures can still be found outside the Cathédrale Notre-Dame and the Luxembourg Town Hall. Less than a year after the Jean and Josephine-Charlotte moved to Betzdorf, their first child was born there. Following Marie-Astrid's birth in February 1954, her four siblings were also born at the chateau: Henri in 1955, Margaretha and Jean in 1957, and Guillaume in 1963. 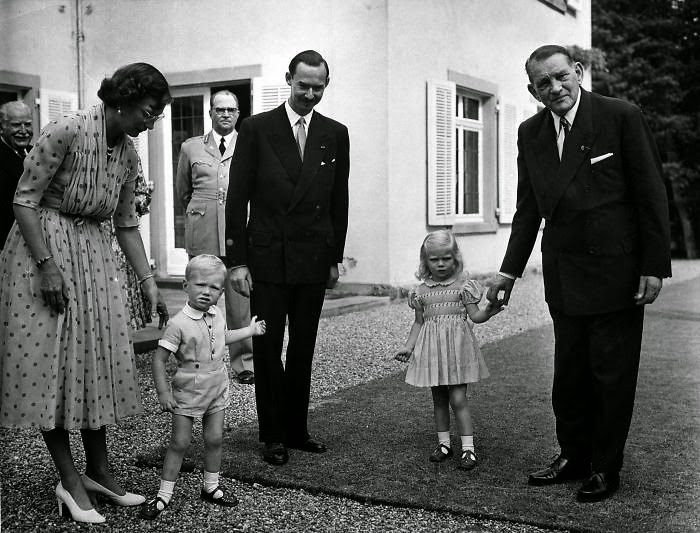 Jean, Joséphine-Charlotte, and their children moved out of Betzdorf in November 1964, following Jean’s accession to the grand ducal throne. Soon after, the property began a new life as a nursing home which it remained for nearly 20 years, until March 1982. For nine days in July 1982, the castle was the temporary home to 1,200 boy scouts celebrating the 75th anniversary of the scouting movement. The château stood empty for the next four years. In 1986, the property was bought from the Luxembourg government by SES Astra SA, a satellite communication services company. After extensive renovations, it became SES's headquarters which is remains to this day. And that was it, ladies and gentlemen, the first round of the Luxarazzi Tiara Race. But don't fear: Welcome to the second round of the Tiara Race which is the round of 16! But first let's have a look back at the last match of the previous round, during which we saw the White House Tiara, the Bavarian Lover's Knot Tiara and Princess Claire's Ruby Tiara heading of against each other. In the end, it was the Bavarian Lover's Knot Tiara that took home the win. Some of you said that the last match was a difficult one but let me tell you, it's not getting any easier in round two! Case in point: The very first match of the round of 16 featuring not one but two tiaras many of you tipped as favourites for the overall win. 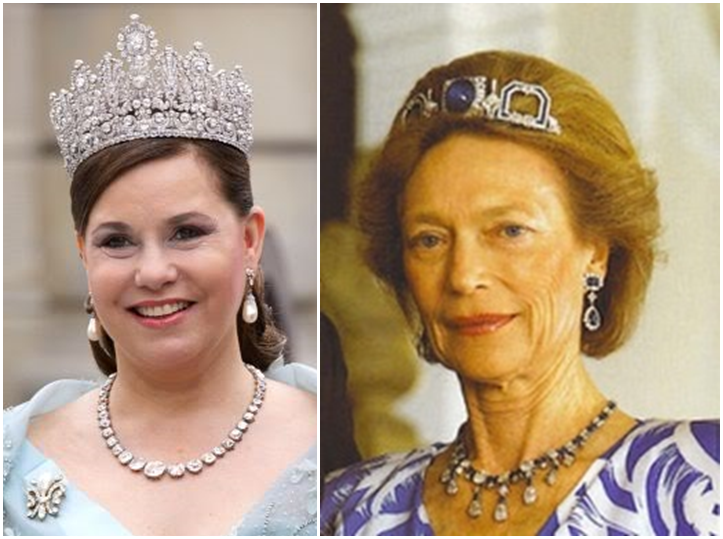 On the one hand we have the Diamond Art Deco Tiara, which is owned by Princess Sibilla and can be worn in two different settings; and on the other the Belgian Scroll Tiara, a wedding gift to Grand Duchess Joséphine-Charlotte by the Société Générale worn by Grand Duchess Maria Teresa above - both of them extremely lovely all-diamond sparklers! Voting closes on Saturday night, so you have a bit of time to make up your mind. If you did, tell us why in the comments below! And another one for the "Better late than never"-category: In her capacity as President of the Liechtenstein Red Cross Hereditary Princess Sophie hosted a charity concert together with the President of the Austrian Red Cross on May 28 at the Stadtpalais in Vienna. She was joined by quite an array of relatives for the event also including a dinner afterwards: her husband Hereditary Prince Alois, her mother-in-law Princess Marie, her brother-in-law Prince Constantin and his wife Princess Marie, her uncle-in-law Prince Nikolaus, as well as Philipp von Lattorff, husband of her sister-in-law Princess Tatjana. The money raised was used for a joined project of the Austrian and Liechtenstein branches of the Red Cross to help people in Eastern Ukraine. More pictures on the website of the Austrian Red Cross. This one is one for the category "Better late than never": Back on June 11, Prince Wenzel gave the starting signal at the Swiss police cycling championship, which actually took place in Ruggell, Liechtenstein, and counted Liechtenstein policemen and -women among its competitors. 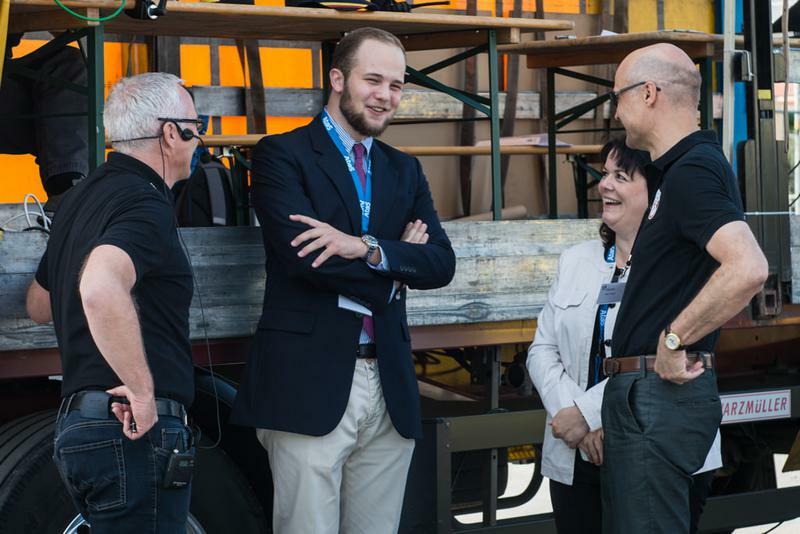 About a gazillion pictures of the championships, including some of the oldest son of Hereditary Prince Alois and Hereditary Princess Sophie looking very different with a beard, can be found on the website of Liechtenstein's police. What's a royal without an order? Not much, at least at a fancy white-tie dinner party. And while it might not have been very important for the Liechtenstein royals to have their own order during the times of the Austro-Hungarian empire - after all, nothing could beat the Order of the Golden Fleece -, this changed after the end of the monarchy. And so the Order of Merit of the Principality of Liechtenstein (or Fürstlich Liechtensteinischer Verdienstorden in German) was founded by Prince Franz I on 22 July 1937. This date marked his 8th wedding anniversary with his wife Princess Elsa. 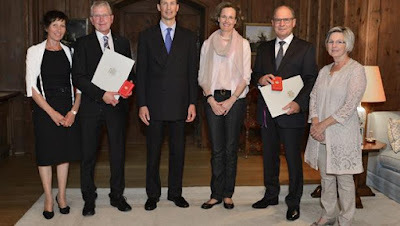 The Order is awarded to people from Liechtenstein as well as foreigners for outstanding services to the Principality. On the same date Prince Franz I also founded the Princely Liechtenstein Medal of Merit (Fürstlich Liechtensteinisches Verdienstzeichen in German), which is nowadays often associated with the order, although it is an independent decoration. The order and the medal are bestowed only by the Reigning Prince, though the government can nominate people to receive them. Originally the order had five grades (Grand Star, Grand Cross, Commander's Cross with Star, Commander's Cross and Knight's Cross). In 1960, the Grand Cross With Diamonds was added as a grade between the Grand Star and the Grand Cross. The Princely Liechtenstein Medal of Merit is awarded in gold and silver. The ribbon of the order has stripes in red and blue. These colours can also be found in the country's flag. 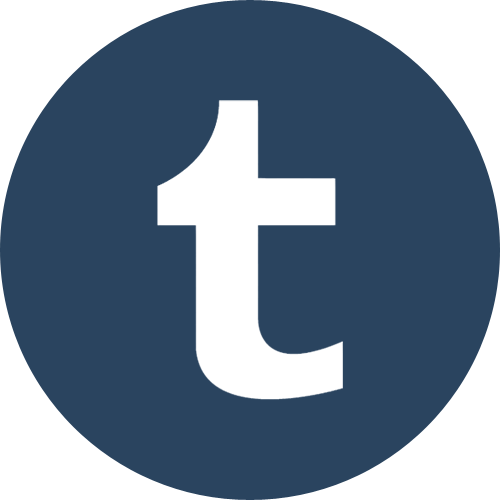 The badge consists of a cross with four arms enamelled in blue and edged in red. The centre of the badge features a blue enamelled medaillion with a golden "L" (for Liechtenstein) on the obverse and the initials FIL (Franz I Liechtenstein) on the reverse. The plaque consists of a bediamonded gold star with eight rays for the Grand Star and a bediamond silver star with eight rays for the other grades. 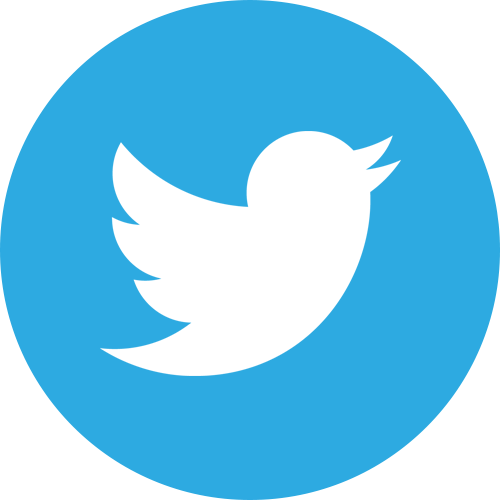 Its centre is the badge of the order including the elaborated "L". The Princely Liechtenstein Medal of Merit also has a ribbon in red and blue. Their shape is a cross equivalent to the one of the order in gold or silver respectively. 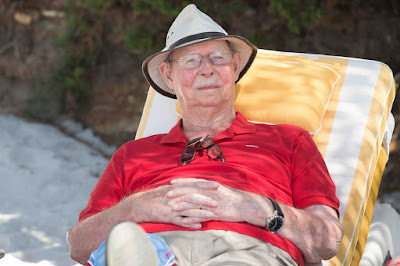 The only bearer of the Grand Star is the head of state, right now Prince Hans-Adam II. He as well as the possessors of the Grand Cross with Diamonds and of the Grand Cross are so-called "holders" of their grades. The possessors of the Commander's Cross with Star are known as "Commanders of the Order of Merit of the Principality" the owners of the Commander's Cross are "Commanders" of their grade and the holders of the Knight's Cross are known as "Knights of the Order of Merit of the Principality of Liechtenstein"
﻿﻿There are no privileges associated with the title. After the bestowal the decorations are the possession of the honoree and of his heirs. Vaterland is offering two lovely galleries of visuals from the festivities, one including pictures of the state ceremony and the reception in the rose gardens and another one with pictures from the evening events. 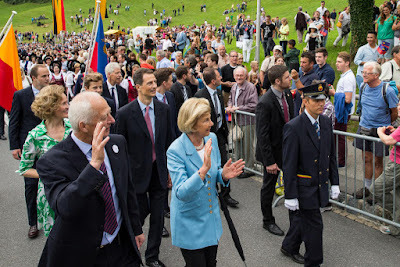 During the afternoon and evening, there is a fair held in Vaduz which is usually also attended by members of the Princely Family, such as Prince Hans-Adam and Princess Marie as well as Hereditary Prince Alois and Hereditary Princess Sophie or the younger generation, in various degrees of low-key fashion. 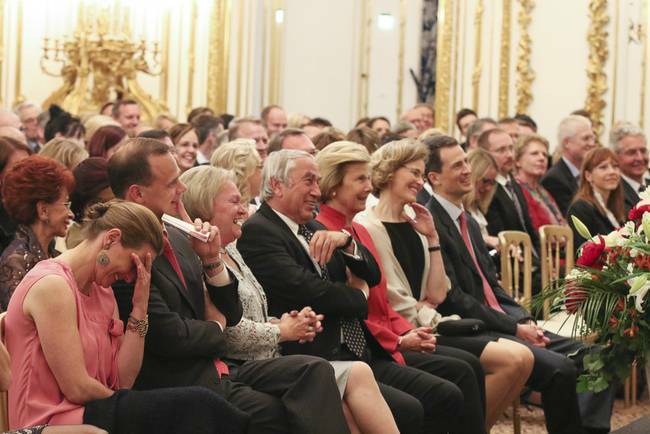 Volksblatt has a gallery of the state ceremony, one of the reception and one gallery of the evening events thus far. Short news reports about national day can be found at Austrian ORF as well as Swiss TV station SRF and TVO. 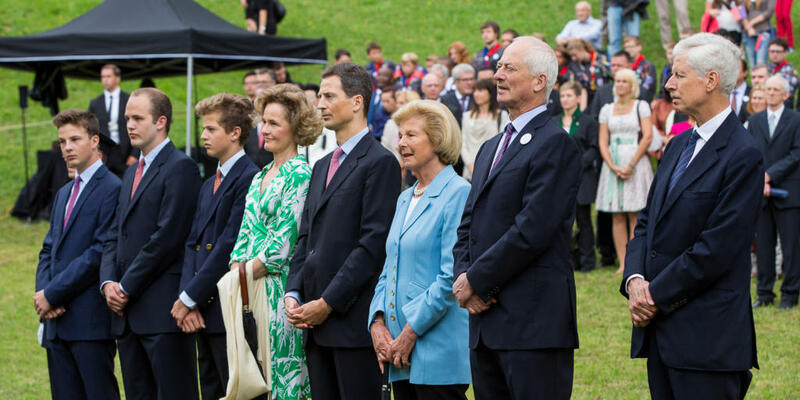 Videos of Hereditary Prince Alois' speech, the speech of the President of Parliament and interviews of Liechtenstein's leading politicians interspersed with footage of national day are available via Volksblatt. 1 FL TV has a video from the rose garden (inluding interview bits with Prince Michael at 02:58, 10:03 and 15:42), another one from the rose garden (including interview bits with Princess Maria Pia at 0:54, 2:58, 4:38) as well as a video of the Hereditary Prince's speech. A Liechtenstein win on Liechtenstein national day! Can it get any more perfect!? Turns out though that there do seem to be a few fringe haters out there. Despite some predictions of yours, the Habsburg Fringe Tiara did not win in the clearest of fashions of the Luxarazzi Tiara Race's first round. But don't worry, it still got 90.91 percent of votes against the Golden Bandeau Tiara - still pretty clear of a result! Today, I don't think it will be as clear though. 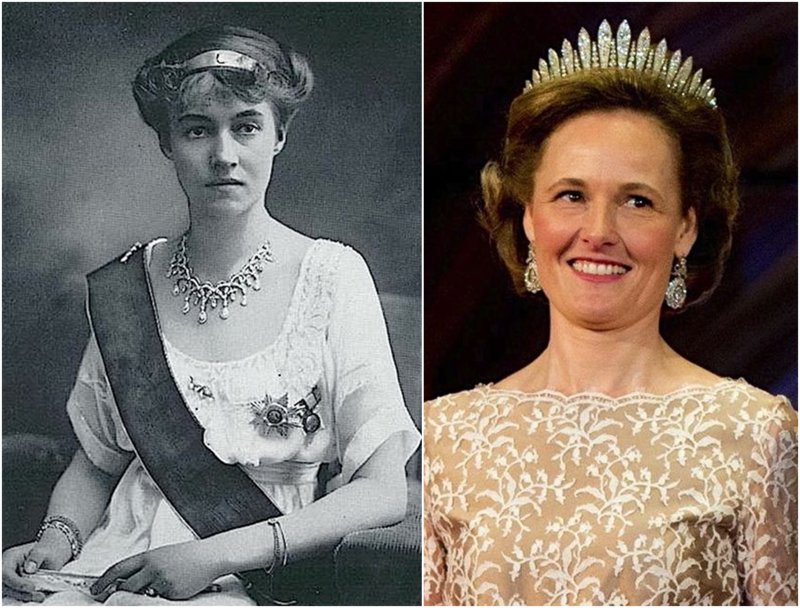 First, we have the tiara we have often dubbed the White House Tiara; originally belonging to Grand Duchess Hilda of Baden, a born Nassau princess and daughter of Grand Duke Adolph, it was left to her niece Grand Duchess Charlotte who once wore it to a banquet at the White House; where the tiara remains today is unclear. 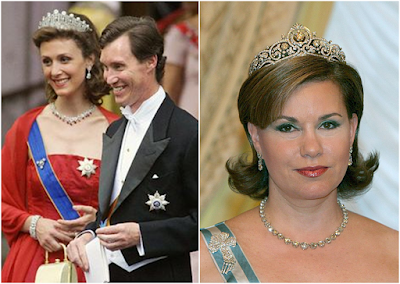 Then we have the Bavarian Lover's Knot Tiara, which we talked about recently and while it might not be worn by Luxembourg princesses today, it's simply to pretty to scratch it from the Race because we have a late entry. 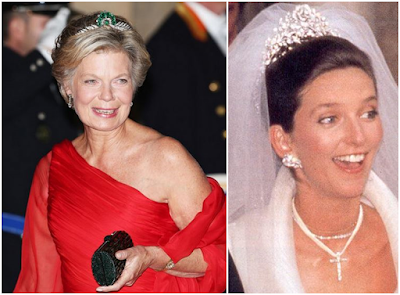 That late entry, of course, is Princess Claire's Ruby and Diamond Tiara, worn at the recent national day celebrations. 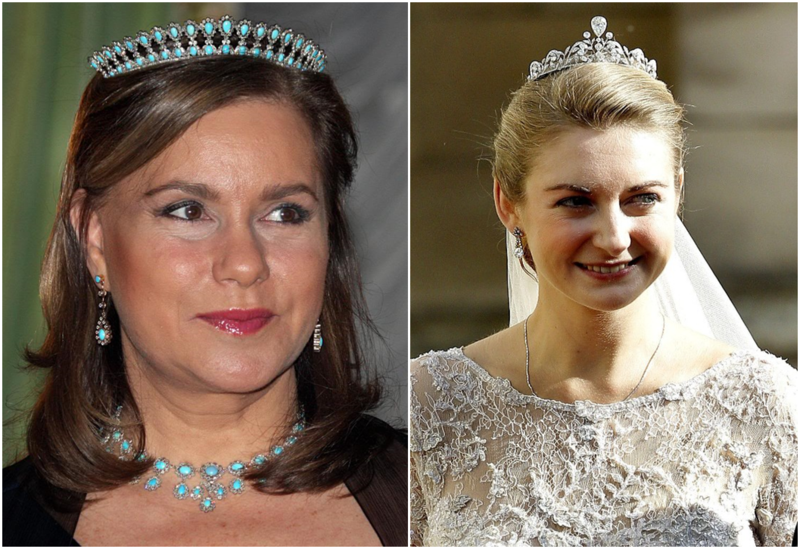 Which tiara of these three do you like best? As always, leave us a comment below which tiara is your favourite! 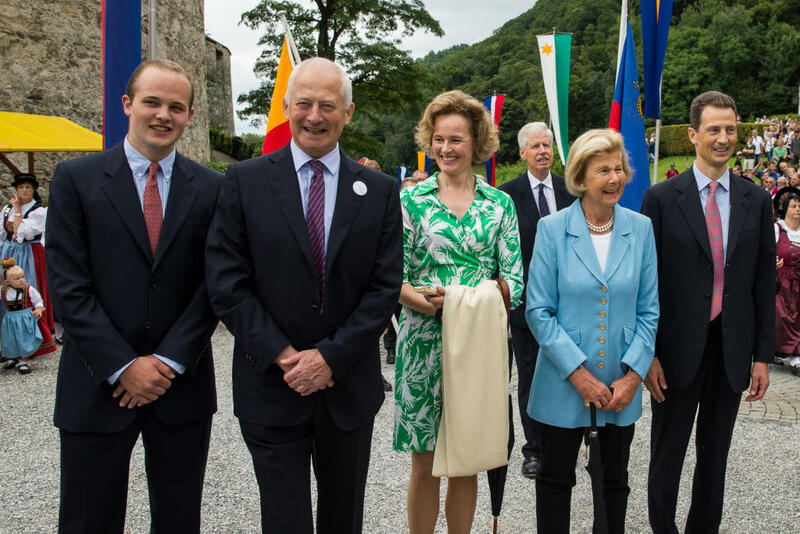 It's August 15 today meaning that the Princely Family - and the whole of Liechtenstein - are ending their summer holidays in style: with the Principality's National Day. Today is the country's 75th Staatsfeiertag as is was firstly celebrated in 1940 amidst the turmoil of the Second World War to show "unity between the Prince and the people", as the President of Parliament Albert Frick put it in his speech this morning. He held his speech during the traditional state ceremony taking place on the castle meadow each year. 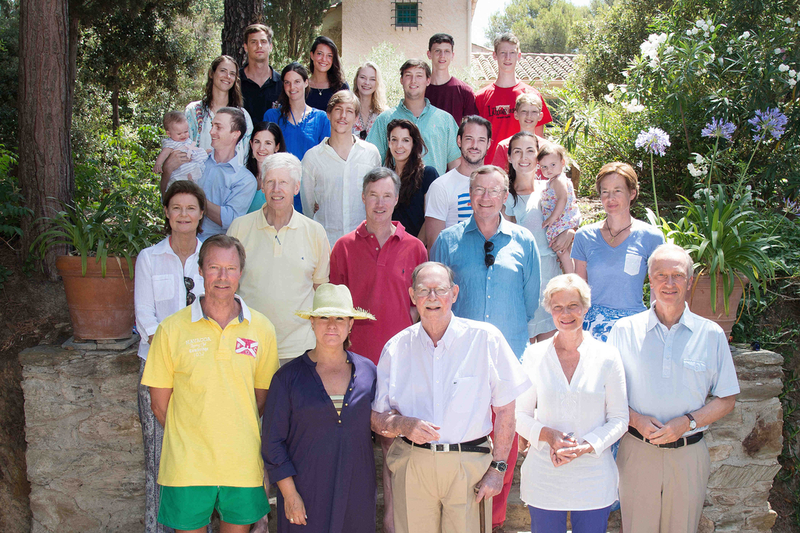 As always, the Princely Family was in attendance for the ceremony though it was a little less numerous than last year (when we also saw Princess Tatjana and her family): Prince Hans-Adam II and Princess Marie, Hereditary Prince Alois and Hereditary Princess Sophie (wearing a repeated Diane von Furstenberg dress), their three sons Prince Wenzel, Prince Georg and Prince Nikolaus were all there forearmed with umbrellas as the weather forecast wasn't the best (though it apparently didn't start raining). 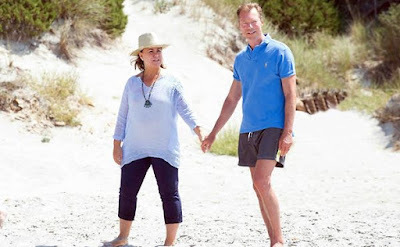 Also present was the much more regularly featured Prince Nikolaus (Hans-Adam's brother and husband of Luxembourg's Princess Margaretha), Prince Stefan and Princess Maria-Pia, all three of them current or former diplomats of the Principality, as well as Prince Michael. It was the Hereditary Prince, who has been his father's regent since 2004, who once again gave the speech traditionally given by the head of state during the state ceremony. Alois talked about the long way Liechtenstein had come in the past 75 years - transforming from an agricultural backwater into one of the world's richest countries, from a country of emigration into a country of immigration, and a country struggling to be internationally recognised to a respected member of international organisations such as the United Nations and the European Economic Area - but also about the country's future and the challenges faced. He added that not everything that contributed to this change was in the power of the people of Liechtenstein but that the Prince and people standing together in difficult times helped a lot. The state ceremony ended with the signing of Liechtenstein's national anthem with the very famous melody, Oben am jungen Rhein, and was followed by the traditional reception hosted by the Princely Family in the rose gardens of Schloss Vaduz. 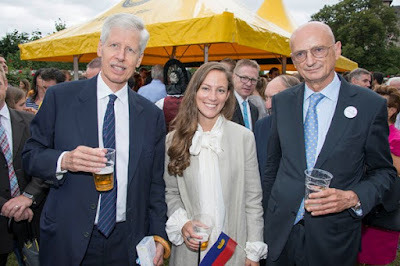 Like every year, the regular Liechtensteiner and tourist got the chance to mingle, talk and enjoy a beer with the members of the Princely Family. A few more pictures of the celebrations so far can be found at Vaterland. Stay tuned though: More picture and video links to come later! On Thursday, Hereditary Prince Alois received Olaf Kjelsen, the new Ambassador of the Swiss Confederation to Liechtenstein. Aurelia Frick, who is the Minister of Foreign Affairs, Culture and Education, as well as the Ambassador Councillor, also paid a courtesy visit to Mr. Kjelsen at the government building. 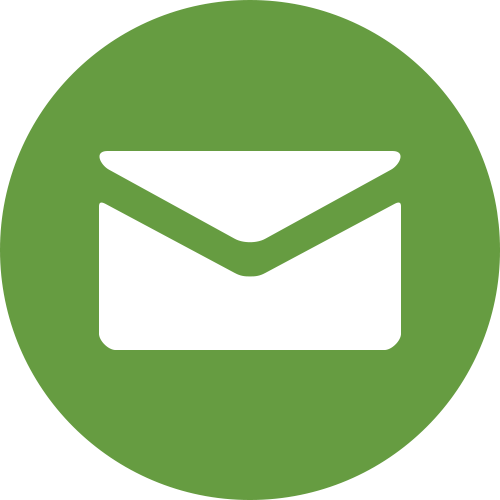 As a point of interest, a special diplomatic relationship exists between Liechtenstein and Switzerland: in the event that Liechtenstein does not have its own embassy, it is represented by the Swiss embassy. No photos of the meeting at present, but Volksblatt does have a nice photo of the new ambassador. It's Wednesday night, time for some more tiara fun as we are nearing the end of the first round of the Luxarazzi Tiara Race. Just this one and another match to go until we head into the second round which will see some fierce battles, I predict. In our last match, we saw the Lannoy Tiara heading off against the Turquoise Tiara and in the end, the sparkler owned by the family of Hereditary Grand Duchess Stéphanie took home the win with some 80 percent of your votes. 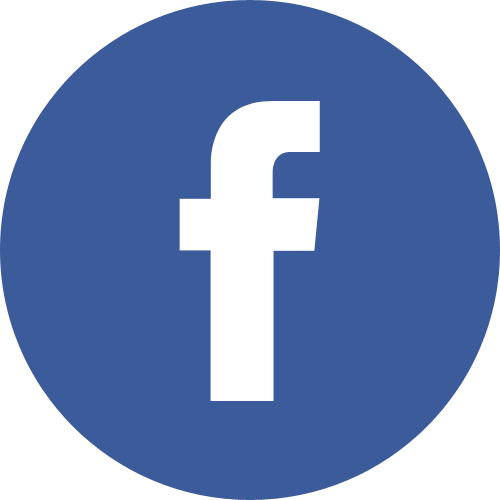 And drop us a comment below! Voting closes on Saturday night. You might recall that Prince Wenceslas has been spending a little time in South Africa as of late looking for business opportunities. 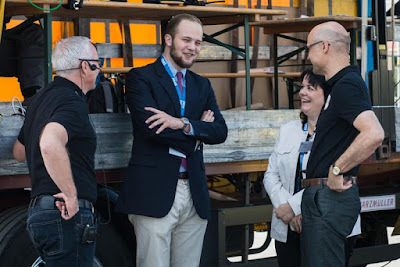 And by the looks of it, he was successful: The second son of Prince Jean and his former wife Hélène Vestur has launched a branch of the advisory and technology company Spallian in Nelson Mandela Bay. 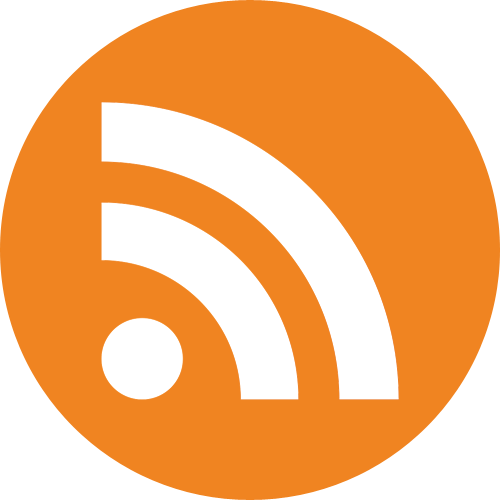 More info about it, have a look at Herald Live. 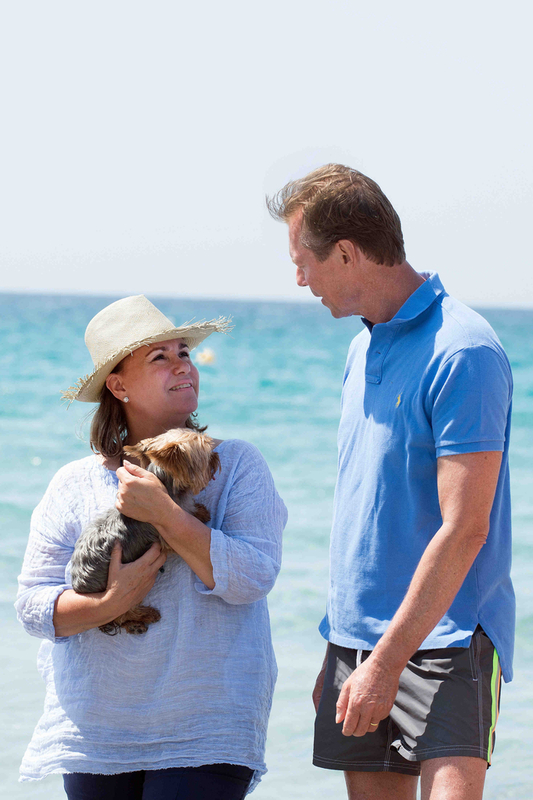 Quick note: Our policy when it comes to the jobs of the Grand Ducal and Princely Families is easy: If they use their titles at work, we do report about it - if they don't, we don't. 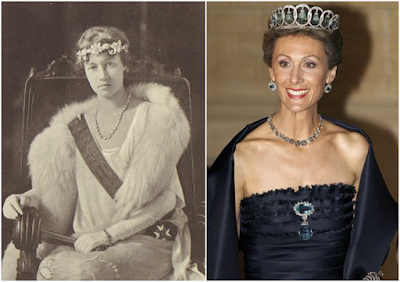 Last time on the Luxarazzi Tiara Race: The tiara that puts the grand in 'Grand Duchess' - a.k.a. the Empire Tiara - won against the handcuffs the shoebuckles the Sapphire Art Deco Tiara by 85.89 percent of your votes. It's tiara time again, ladies and gentlemen. 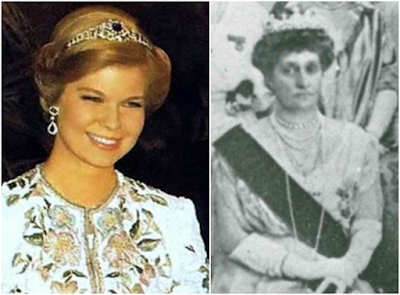 Today we are introducing to you another tiara by the former royal family of Bavaria, the Bavarian Lover's Knot Tiara, featured in the Luxarazzi Tiara Race. Much like the Bavarian Ruby and Spinel Parure, this one can't be worn by the current crop of Grand Ducal ladies but it has been worn by a Luxembourgish princess in the past, Princess Antonia, younger sister of Grand Duchess Charlotte and wife of the last crown prince of Bavaria, Rupprecht. 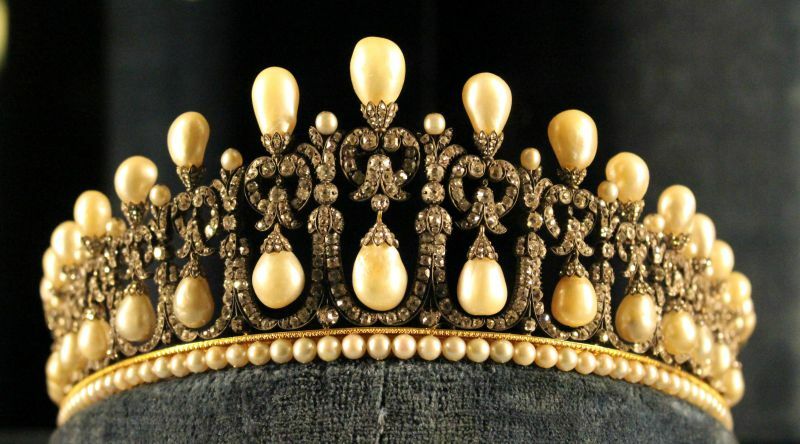 Lover's knot tiaras were once a popular design for pearl and diamond pieces. While the Cambridge Lover's Knot Tiara is probably the most famous of them all these days, the Bavarian tiara is a good 90 years older. Dated circa 1825, it is attributed to Bavarian royal court jeweller Caspar Rieländer. The tiara features 16 diamond arches with pearl drops hanging from lover's knot bows. 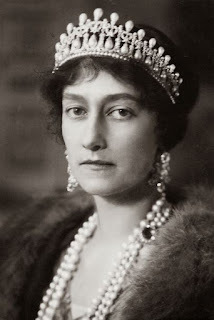 These pearl drops are mirrored by another sixteen pear shaped pearls interspersed with small pearls on the tiara's top. Much like the recently talked about Ruby and Spinel Parure, this tiara - as well as accompanying earrings and necklace - were a gift from King Ludwig I of Bavaria to his wife, Queen Therese. Therese later gave it to her daughter-in-law, Amalia of Oldenburg, who was the Queen consort of Greece from 1836 to 1862. When her husband, King Otto, had to abdicate, the couple, who was childless, returned to Bavaria. These days, the tiara is on display at Munich's Residenz, the former home of the Wittelsbach family turned museum. So it turns out Grand Duke Henri wasn't in Malaysia for the 2022 host city vote back on July 31st. 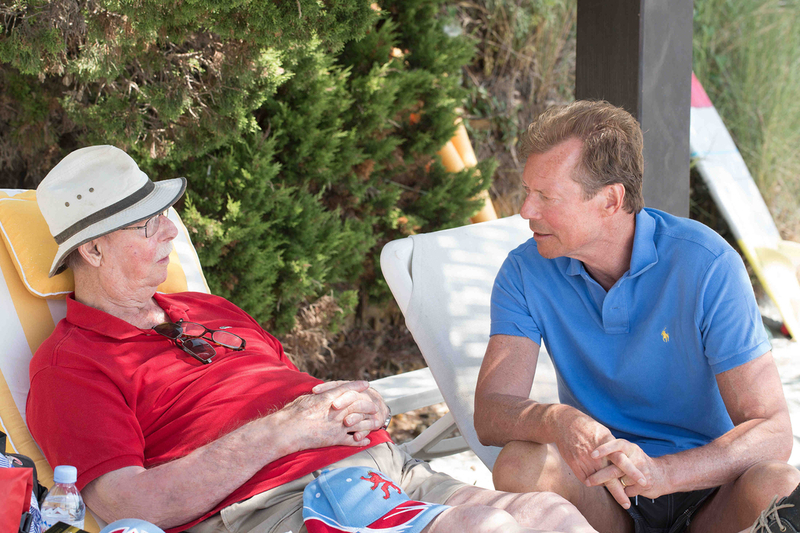 However, he was reelected as an IOC member, on August 3rd, during the final day of the 128th Session. For what it's worth, Henri's non-attendance put him in fairly good company this year, as more than 10 percent of voting members were either not present or not eligible to vote (due to being from one of the bidding cities). It is likely, on the other hand, that Princess Nora was in attendance, as there is no mention of her absence from the events. A little more news about the session here and here. It's Tiara Race time again, ladies and gentlemen! Last time around, you kind of surprised me a little. Truth be told, I would have thought that the match between the Citrine/Topaz and Pearl Tiara and the Aquamarine Bandeau Tiara would end a little closer but the latter one took home the win in rather outright fashion gathering almost exactly two thirds (66.53 percent) of votes.